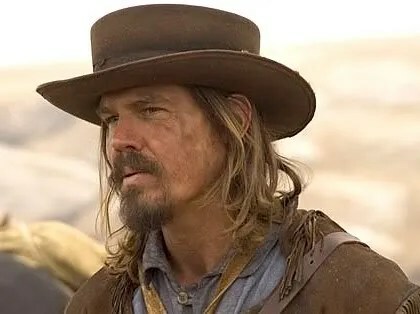 Well regarded actor Josh Brolin (American Gangster) is in talks for the titular role in the forthcoming adaptation of Jonah Hex from Crank writer/directors Mark Neveldine and Brian Taylor. Based on the DC Comics property created by writer John Albano and artist Tony DeZuniga, the film is a western focusing on an anti-hero type character. The right side of his face is horribly distinctly scarred. He was an officer for the Confederacy during the American Civil War, fought at Gettysburg and is normally shown wearing a tattered Confederate States Army jacket. Hex is surly and cynical, and is in many ways similar to Clint Eastwood‘s Man with No Name or The Outlaw Josey Wales. 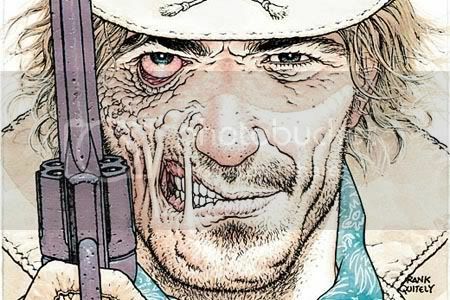 Jonah Hex is set for 2010. Brolin previously played cowboy Jedidiah Smith in the mini-series Into The West (pictured above) and The Mist actor Thomas Jane has previously expressed interest in the role, going so far as to personally do costume/makeup tests for his own enjoyment. Who would you rather see in the role? This entry was posted in American Films, Celebrities, Comic Book Movies, Westerns and tagged American Gangster, Brian Taylor, Crank, DC Comics, Into The West, Jedidiah Smith, John Albano, Jonah Hex, Josh Brolin, Mark Neveldine, The Mist, Thomas Jane, Tony DeZuniga by Mr Hollywood. Bookmark the permalink.